"We're going to roll up our sleeves and work with the Chinese officials to demonstrate that canola should continue to flow safely from Canada to China," Trudeau told a televised news conference in Thunder Bay, Ontario. "This is something we take very seriously ... we are optimistic we are going to be able to make headway this year." China said this month it had suspended the clearance of canola imports from Richardson International, Canada's largest exporter of canola to China. The Canola Council of Canada now says no imports are getting through. "We are finding that Chinese importers are unwilling to negotiate new sales for canola seed at a time when we would anticipate they would normally be doing do," said Jim Everson, the group's president. "Officials from both countries will continue to engage in order to find a science-based solution to this issue as quickly as possible," Katie Hawkins said in an email. China has been a major market for Canadian canola, accounting for approximately 40 percent of all of the country's canola seed, oil and meal exports, the council said. "We think that market will continue to grow but we have a current circumstance that is very challenging," Everson said in a phone interview from Winnipeg, Manitoba, saying it would be "a real challenge" to find other alternative purchases. China's foreign ministry has said it had discovered pests in canola imports from Canada. 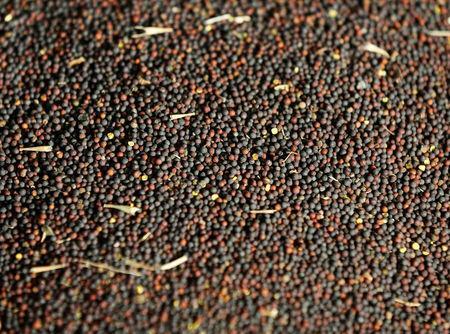 Richardson International said its canola met regulatory requirements. Everson said "often these issues around science are not that clear and objective", adding "it can sometimes take time to determine" the right protocols for tests. "Justin Trudeau's government is in chaos and he isn't addressing the real issues facing Canadians. Time for the Liberals to act and stand up for our proud canola industry," said Andrew Scheer, leader of the opposition Conservative Party.